Mobile phones and computers fill the lives of many Bolton teenagers today, but how different it was 100 years ago for Bolton lad Fred May – at the age of 18, he was taking part in the Battle of the Somme. Born on 31 October 1897, Fred attended Sunning Hill Council School, the same school as the subject of another Bolton blog, 2nd Lieut. Alexander Clegg. Fred enlisted in Kitchener’s 1st Army in 1914 at the age of just 16 years and 11 months and the rest of his teenage years were spent in Belgium and France, fighting in every major battle up to the third Battle of Ypres in 1917. He first joined the Royal Army Medical Corps, where he remained for two months before volunteering for the Royal Field Artillery. 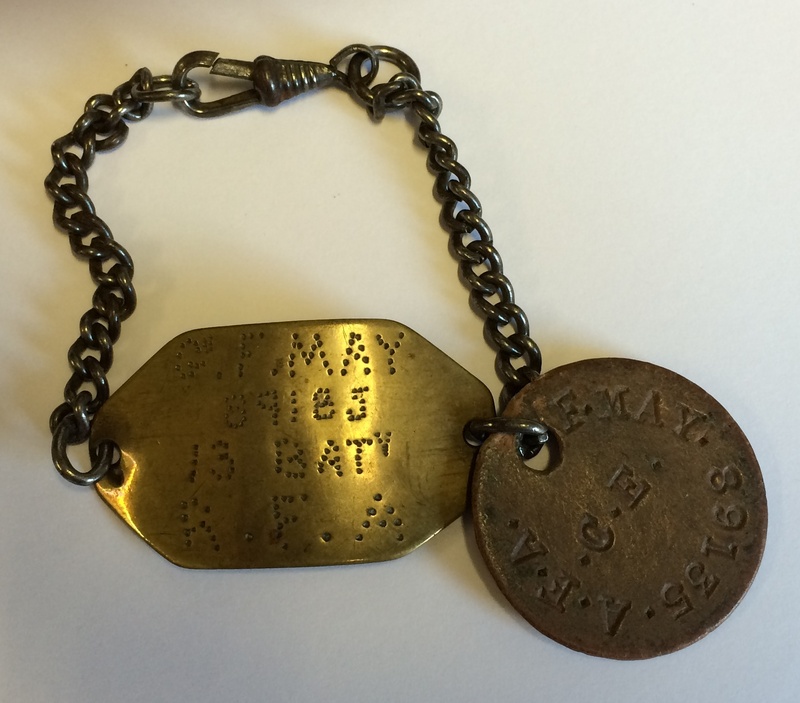 Like many soldiers, Fred kept mementoes of his time on the battlefield – an identification bracelet made by a fellow soldier, a signet ring made from an artillery shell by a French soldier and of great significance to him, pieces of shrapnel from a German 8 inch shell which burst near him but only tore his tunic. However, Gunner Fred May’s war was to end on 26 April 1918, when he was discharged having suffered gas poisoning. To show that he had served, he was given the Silver War Badge (no. 404754) to wear on the lapel of his jacket. He received the Mons Star and the Victory and British War Medals after the war. Fred married Marjorie Caldwell in 1921 at St Augustine’s Church, Tonge Moor, Bolton. The couple had a son and a daughter and the 1939 Register finds the family living at 31 Fairmount Avenue, Breightmet, Bolton, with Fred working as a cotton salesman. In 1967, Fred donated his WWI mementoes to Bolton Museum, together with some photographs, including one of him in his R.A.M.C. uniform. Currently, they form part of a display in the Main Library. Fred May died on 24 February 1982 in Bolton. Personal items held by Bolton Museum and Archives. 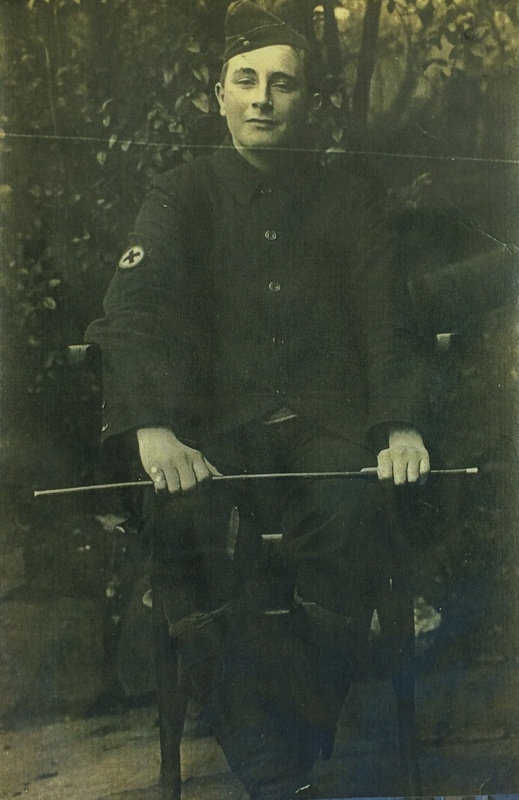 Photo of Fred May in his R. A. M. C. uniform, late in 1914, prior to him volunteering for the R. F. A.
BY.184.1967 The brass wristlet identification plate was made by one of his comrades and worn on his wrist daily-in case of death etc. It was made from the cartridge-case of a British 18lb shell. The red identification circular plate was one issued by the army to be worn daily for identification purposes in case of wounds or death. 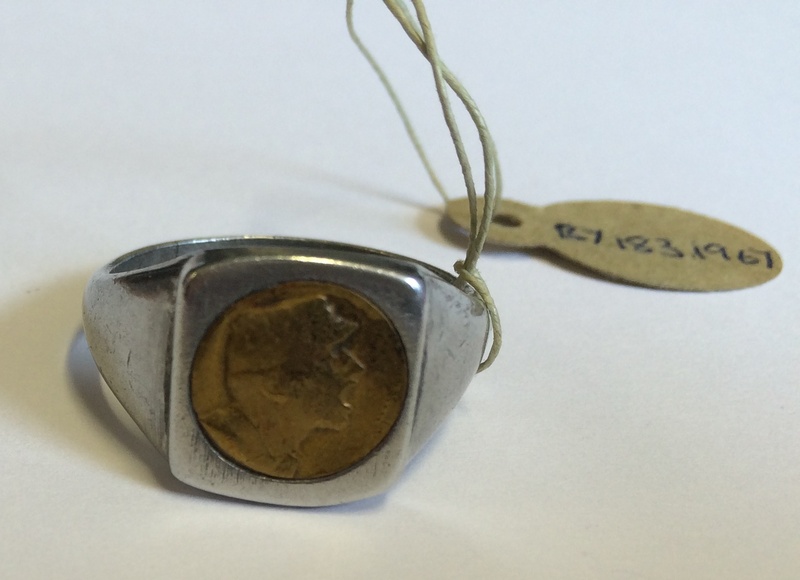 BY.183.1967 The Signet Ring purchased from a French infantryman (a poilu) in the French front line of the Somme and it was made by the latter from a French 75mm shell; made entirely by hand, it is really unique. 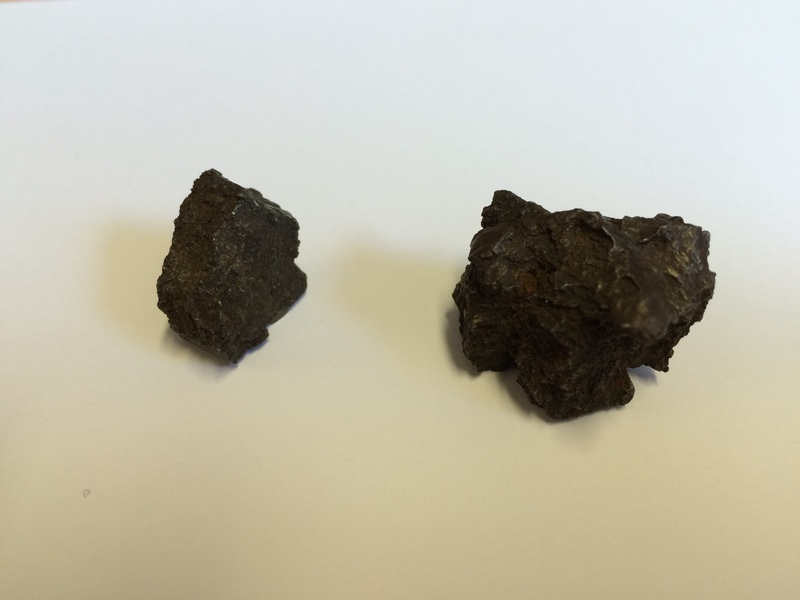 BY.185.1967 a & b pieces of steel from shells which although they hit Sgt May they did not wound him but tore a hole in his tunic. Incidentally, the metal was red-hot when they struck him.